At Impact Trophies & Medals, we have a great choice of embossed medals suited to all squash events, competitions and club presentations. 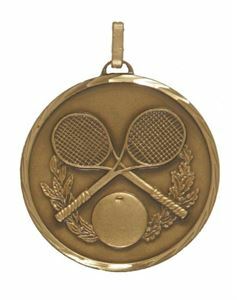 Our range includes gold, silver & bronze squash medals features a range of racket and squash ball designs. 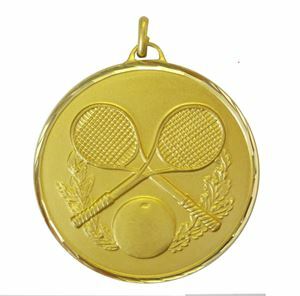 Impact Trophies & Medals are a leading retailer of embossed squash medals. Great for personalisation, many of our embossed squash medals can be supplied with a choice of coloured or patterned medal ribbons, as well as the option to add self adhesive text labels for the revers and budget or luxury medal display boxes. Embossed in fine detail on the Laurel Economy Squash Medal, is an image of two squash rackets and a ball. The medal has a decorative antique laurel wreath border. This medal offers great value. With diamond faceted edges and cast from a weighty brass, the Faceted Squash Medal is a superior quality choice. 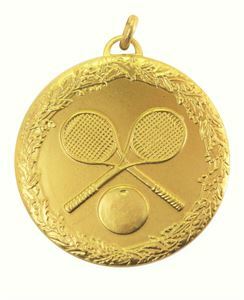 The medal displays two embossed squash rackets a ball and laurel leaves.